Clinical IT Help Wanted…But at What Cost? 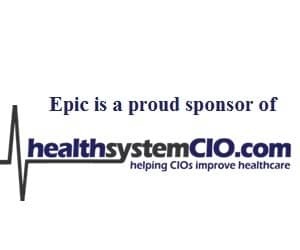 healthsystemCIO.com is the sole online-only publication dedicated to exclusively and comprehensively serving the information needs of healthcare CIOs. The “hot” topic this year is the healthcare IT workforce shortage and its impact on health system CIOs and their provider organizations. The CHIME CIO Fall Forum in Phoenix last week held a CIO panel discussion about the shortage, and CHIME just published findings from a recent survey about the IT staffing shortages, other articles about the shortage of HIT workforce are showing up lately. Not only are health systems looking for qualified workers, so are HIT vendors and consulting firms. How can health system CIOs cope with hiring, retaining and affording the type of IT talent they need to lead and implement their clinical IT initiatives? What are typical salaries for these top clinical IT positions in health systems? Over the last year, provider, consulting and vendor organizations have stepped up the pace of hiring for Clinical IT leadership positions. The competition for experienced EMR IT leaders is very intense. I have heard from several candidates in the last week who have received several job offers with consulting firms. I was amazed that the salaries were in the $260k to $300k range. Most not-for-profit providers will not be able to afford that high salary, but unfortunately they need that level of talent. HR departments have set salary ranges for most IT leadership positions, but the shortage in clinical IT talent has forced adjustments or more creative ways to attract key staff. These searches can no longer be done locally or regionally but nationally, so the competition is fierce for the same pool of candidates. Back in pre-Y2K time, creative retention strategies were prevalent, and guess what – they are here again. It is becoming more common for health system CIOs to offer retention bonuses, non-competes and special contracts to hold onto their key Clinical IT leadership. But what else can you do to find, keep and afford key clinical IT leaders? The shortage of qualified clinical IT leaders is a fact, but being realistic on your hiring expectations, looking for creative ways to attract and retain talent can help. Who Are Your Fellow CIOs Hiring? I have a question about your last suggestion to health system CIOs. Regarding your advice to “Use outside consultants to fill gaps and then recruit them,” don’t consultancies put language in their contracts to prevent this? If a CIO tries to take that language out, won’t the consultancy then know the hospital plans on trying to entice their consultant into full time employment? This is great information. Are there any resources for budding IT professionals or those expanding their skill set that delineate what specific technological competencies Healthcare CIO’s are looking for? I would love to know what education could help me custom tailor my resume to be highly attractive to CIO’s. Thank you. To answer Anthony’s question, I believe to hire a contracted consultant, a CIO would have to work directly and openly with the consulting firm on a buy out or transfer deal. I have seen it happen several times for different positions in an IT department, including for the CIO position. Considering the costs of recruiting, it may be more economical. To Tony C., thanks for the note. You may want to ask some experienced healthcare IT recruiters to review and give you some resume tips. Also check out certification for PMP-project management professional or HIMSS CPHIMS certification, these certifications will make your resume stand out. CIOs are also seeking technical candidates, with data warehousing and business intelligence skills.